Helping trailblazers like YOU create a life of fun and freedom, flow, colour and adventure. I’m Claire Westwood, and my mission in life is to help creative contemporary goddesses, conscious men and women, visionaries, Creative Mavericks, spiritual actioneers and trailblazers to create a life around who they REALLY ARE. Oh yeah, I work with the innovators, the creatives, the performers and speaker-outers, the feather-rufflers and the paradigm shifters. I work with experienced and motivated change-makers and coaches, creative entrepreneurs and performers, speakers, authors and multi-skilled life adventurers. However, even though my clients (like you) are unique, quirky, fascinatingly interesting and plain a.ma.zing I see too many people show a diluted version of themselves in their mission-led life and business, in order to ‘fit in’. “(In the Discovery module) I uncovered some really important information around what really makes me tick. I discovered so much of the parts of me that I was putting to one side…. it allowed me to do a fairly large course correction. I got a really clear idea of where I was holding myself back. I have noticed how that shift in my belief has created a new way for me to work. It’s actually pretty exciting ! (My Vibrant Vision) is working! Now I am really clear on what I want…..
Maybe you have been following mentors soooo closely that you become a bit of a clone… or you are working with a coach that has only ‘one way’ to success….I get it – this was me a while ago….. I get it! You have energy and passion that you ‘put a lid on’ to make others more comfortable. You are too loud, too excitable or too emotional…..
Nooooooo….you are exactly right. You ARE SUPPOSED to be loud and witchy and colourful and fun and emotional and crazy with tons of ideas, it’s the way you were put together. I love you exackly like that! I believe that there are infinite ways to create income and success, having fun and freedom, flow and colour, variety and adventure along the way – if that’s what you want! Are you experienced and successful, yet feeling stuck, caught up in left-brain systems and your to-do list? You feel bored or restless, and know that you have evolved out of your current business….and life….but where do you start and, more importantly, who can help a craaaazy creative, spirited person like you to move forward? Let’s have fewer to-dos and more ta-daaaaas!! It’s time to step up into your place as a Creative Maverick. You are creative and colourful, an actioneer, learning and implementing rapidly. You are experienced in your ‘trade’ as a coach or artist, performer and speaker, writer, traveller or multi-skilled creator. 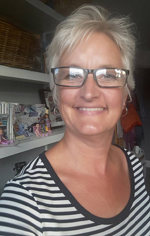 I love to help inspirational people, with loads to offer the world – getting them clear and into simple action to reduce the overwhelm and get better results with waaaaay less work! I had a previous coaching business, working with nurses, and learned the hard way about burning out, and doing things that weren’t my forte, or bringing me joy. In this business as The Seaside CEO I am working much more in flow, doing what I am good at and having fun along the way. This page was written while watching the sun set over the sea in Scotland – that’ll do for me. I have been a coach for 15 years and in business for 9 years so I know some stuff – plus I love cartooning, words, colour, photography, the beach, live video and use them all in this business…..it’s fabulous! What aspects of YOU do you want to add to your business and life? Do you even know who you are anymore? Do you realise that the very aspects of you that you are hiding are the ones that will bring you the most joy and flow, that will attract your dream clients and break you out of the saminess of online and offline business? It’s time to stand out, be YOU, develop your biz, life and income around the real, authentic, bright, creative, excitable YOU!! Let me guide you through creating your unique ‘Map of me’ a simple and effective tool I developed over several years, for change-makers like you to ‘see’ who you really are. Yes, I want to step up! “I needed some help getting clear on my direction. …(and) I found the session really informative, fun and inspiring . Claire creates a really warm connection which makes it easy to let the ideas flow. I now am clear on who my new tribe are and realise that it is really another version of me!! I am going to move forward as my true authentic self and show up more as the fun loving, nurturing and inspiring person… that I kind of knew I was but needed someone else to confirm that to me. The Joy Diva, Participant In Program.